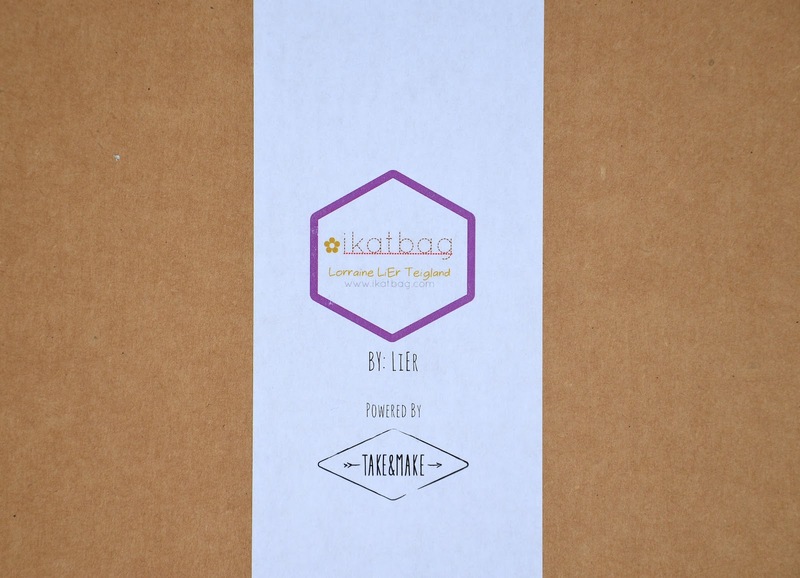 ikat bag: Owie Doll Kit! Shall we take a walk down memory lane? 5-ish years ago, a friend underwent a critical surgical procedure. At the time, her kids were little and she told me she was concerned about how they would cope with not just the major disruption to their family routines but also how her body might change post-surgery. 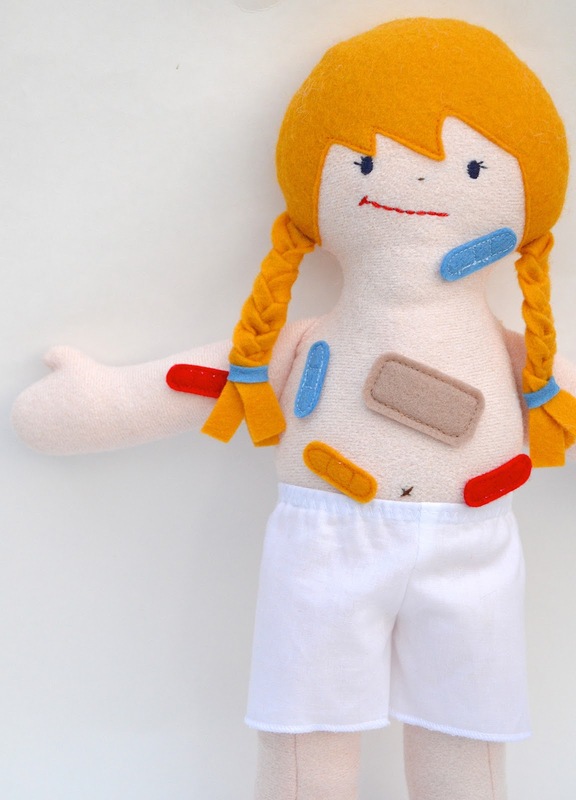 While thinking of her and her her kids, the idea for these Owie Dolls - a toy to help her kids process what might be happening to their mom -was born. 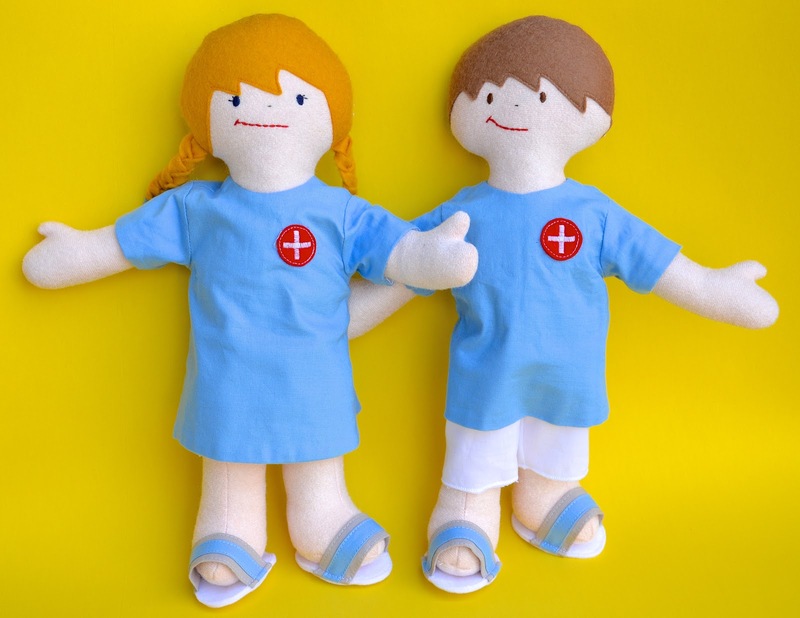 my friend was well on her way to recovery and her kids no longer needed these dolls for the therapeutic reason for which I'd designed them. And because I was never a fan of The Unrealized Idea, I made them anyway, and put them in my etsy store in case other kids might like them. They literally flew off the shelves. 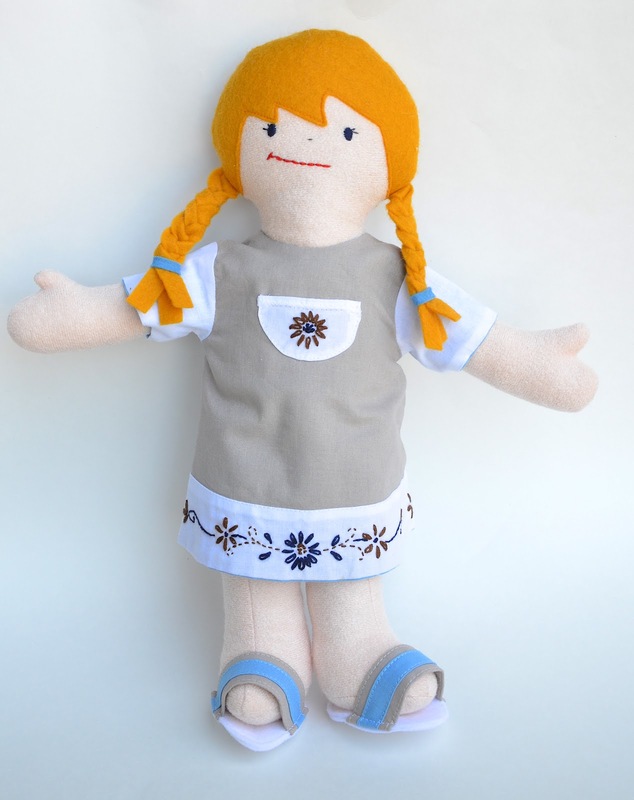 So I made another batch, and another, and then, ready to move on to other projects, I released the sewing pattern in response to readers' requests, so other hands could make these dolls for the children they loved. 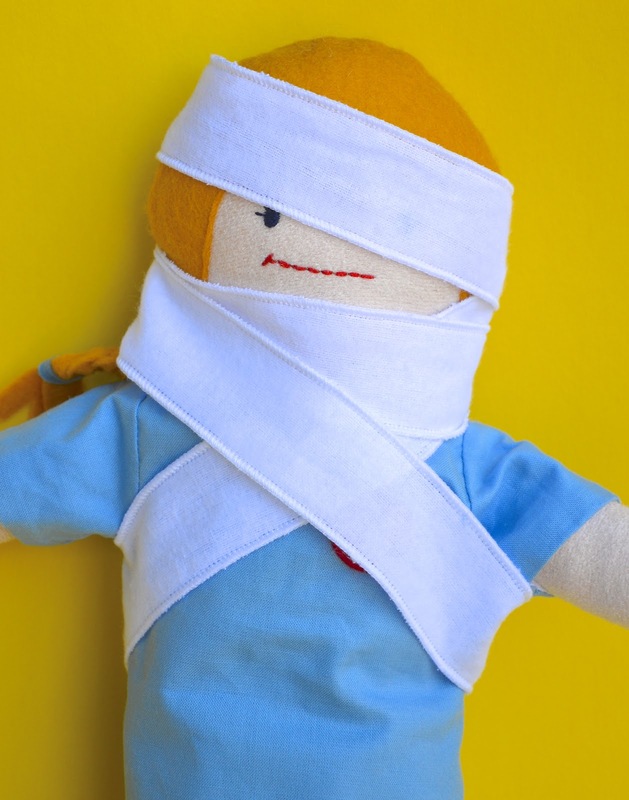 - but how challenging it was for them to find the right fabrics to make not just the doll but the whole set of accessories. Because it is a set with quite a few parts - easy to sew but not so much fun to shop for the supplies for it. 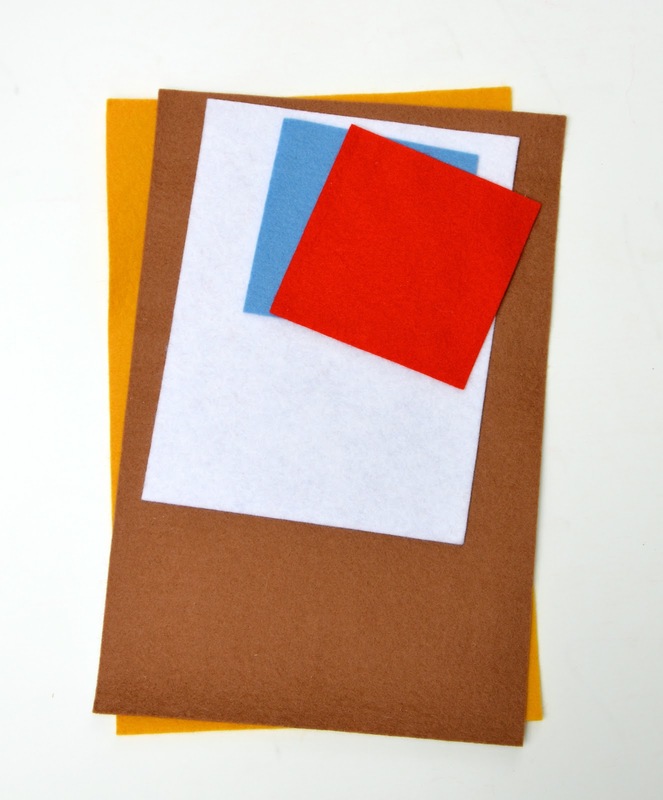 The wool felt, for instance, was expensive and/or hard to find, and the cheaper and more widely-available acrylic substitutes didn't quite stand up to play. 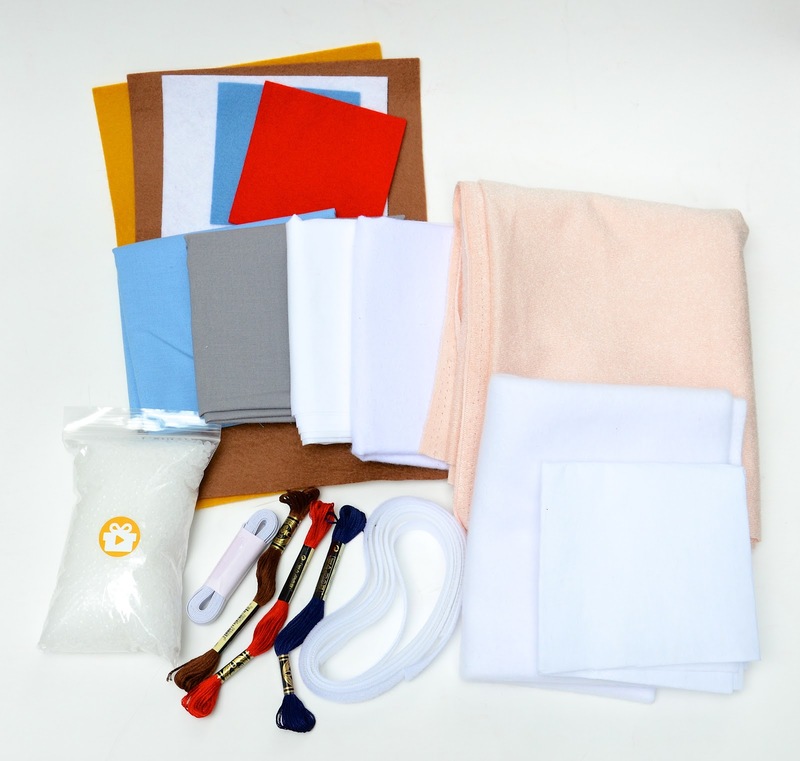 So late last year, when Take&Make, a company that produces kits for project designers, reached out to me with the invitation to come on board their beta run, I asked you guys what you'd like to see as a kit. We read all your responses (I loved the idea of a wooden cupcake kit!) 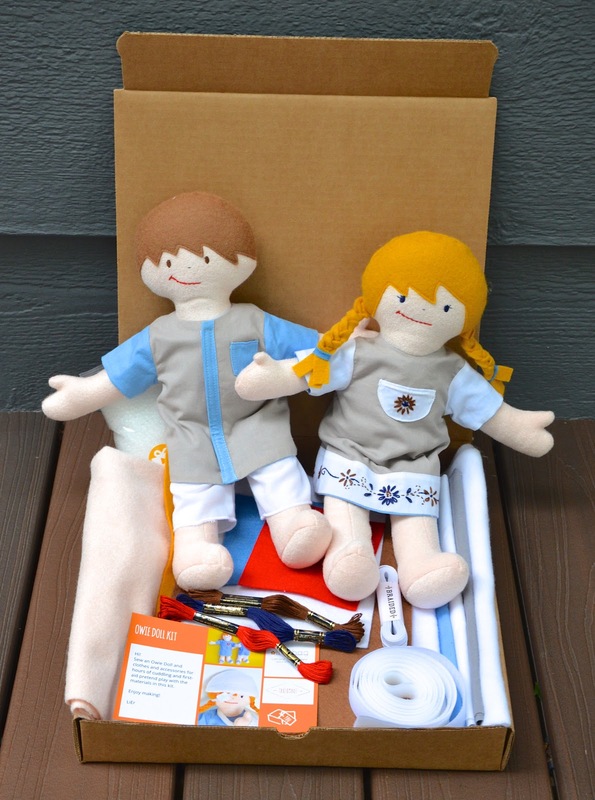 and because this one was going to be all about sewing, we picked an Owie Doll kit to put together for you. 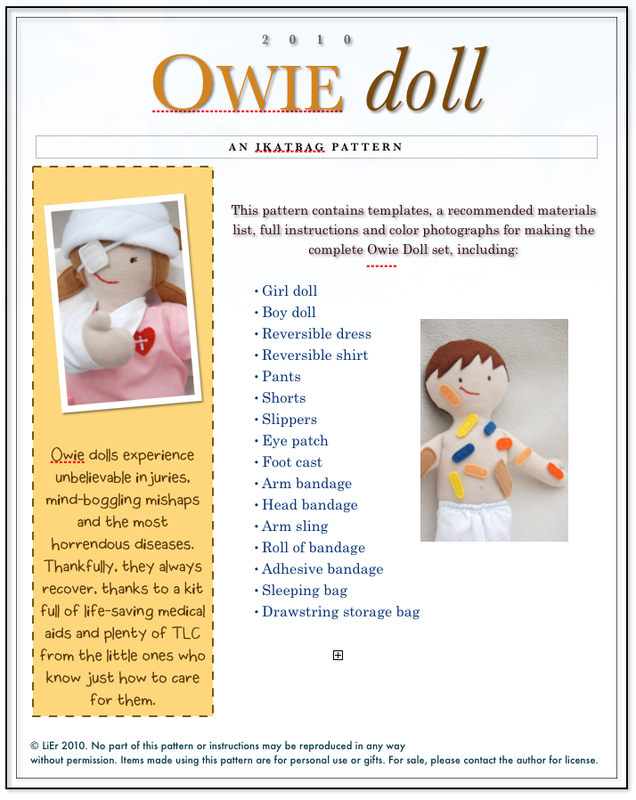 After months of collaboration, testing and fine-tuning, I am thrilled to introduce you to my Owie Doll kit! 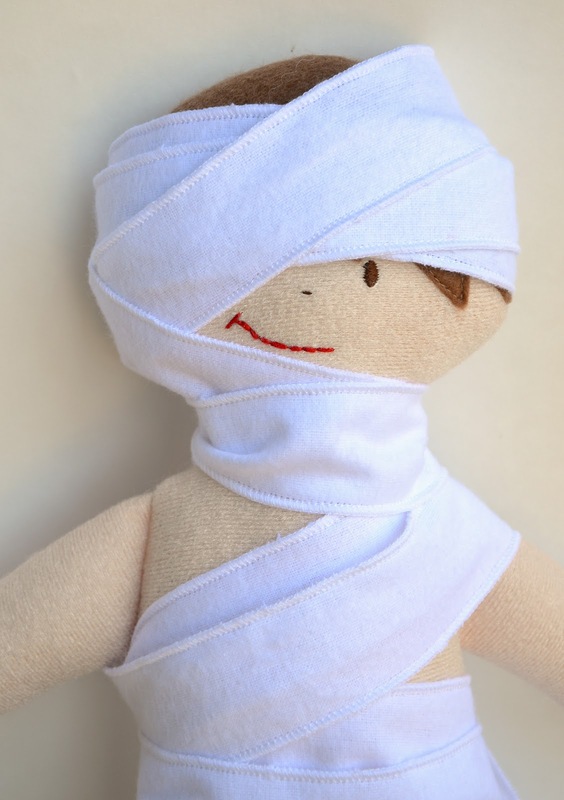 Inside are enough materials to make two Owie Dolls, with leftovers. TWO! With leftovers! 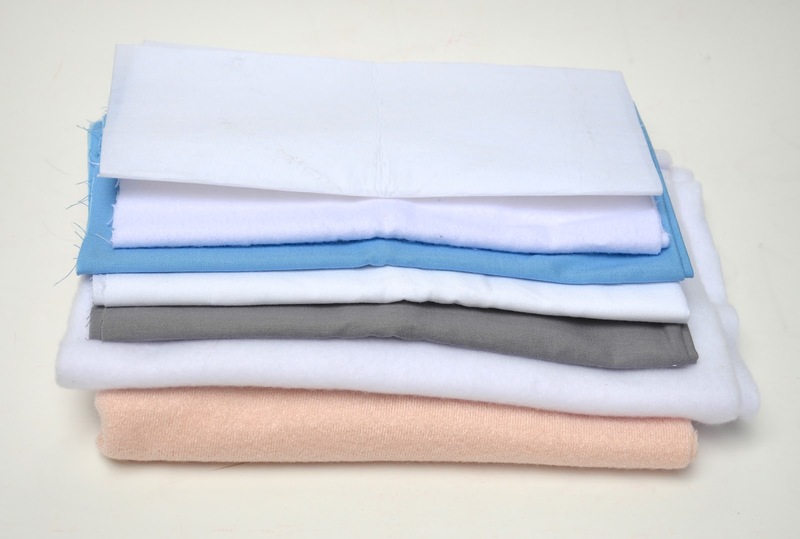 First, the fabrics - from top to bottom: fusible interfacing, white flannel, blue cotton, white cotton, grey cotton, white fleece, and the skin velour. 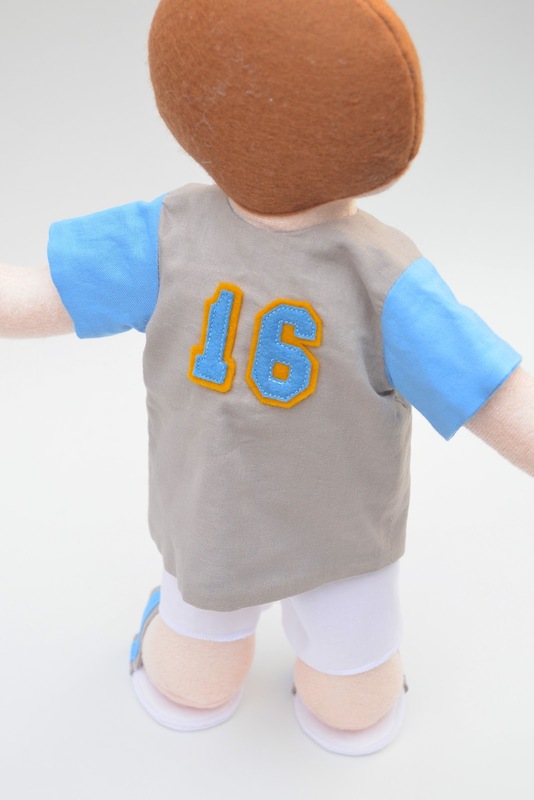 Next, the 100% wool felt - for the hair, slipper soles, bandaids, eye patch and accent details on the clothes. 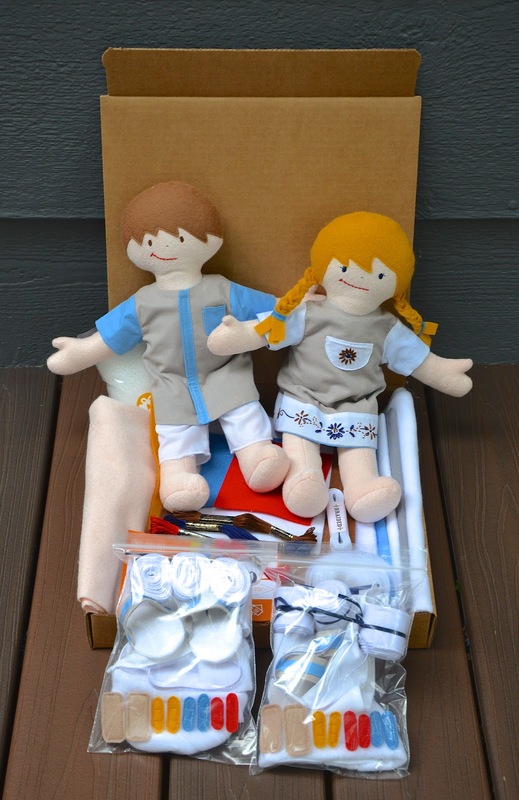 all packed in a box, ready to cut out and be turned into dolls. 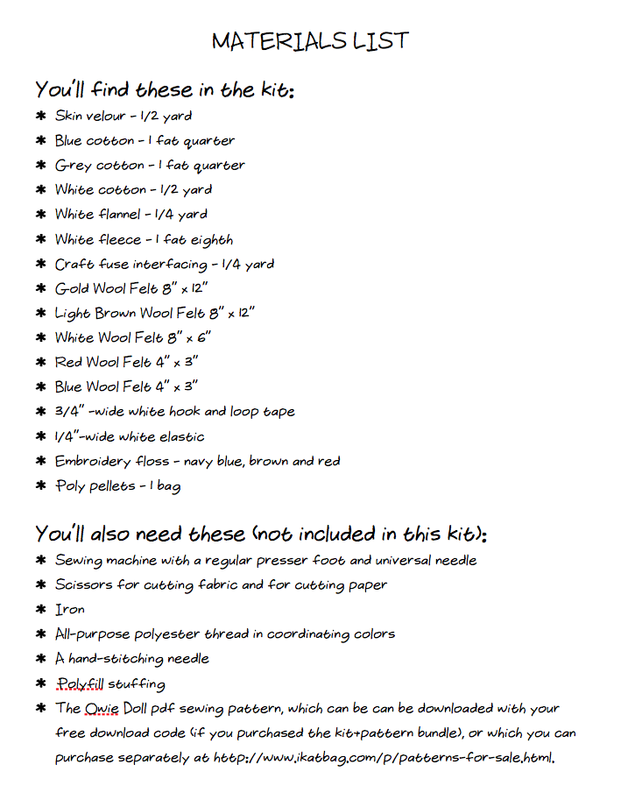 and a Materials List to tell you what you've got in your kit and what you'll need to supply on your own (tools and stuffing). There will be fabric and notions left over. For instance, the surplus skin velour is sufficient to make at least one more doll. 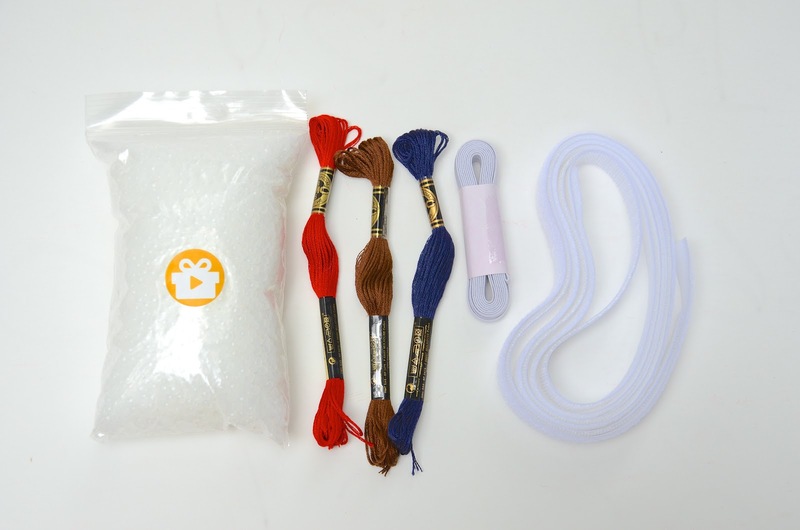 For this first batch of Kits, we're offering only the light skin color (but you can play around with the felt for different hair tones). Depending on the response to these Kits, there might be more skin and hair tones in future batches. 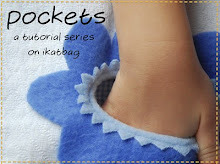 Now, while the sewing pattern also contains instructions to make a drawstring storage bag and a zippered sleeping bag, the materials for these are not included in the Kit. 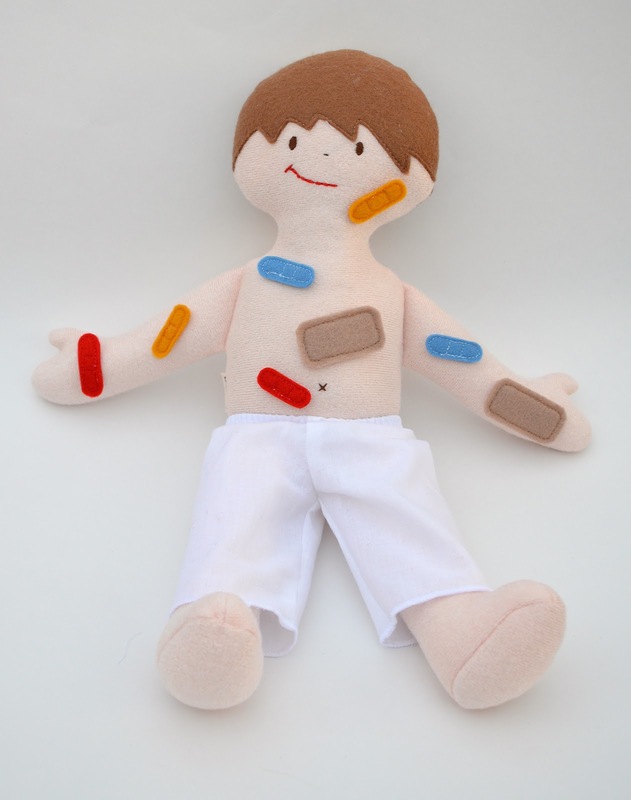 From feedback received, it seems that many people skip these two items when they make their Owie Doll sets, so we've streamlined the Kit accordingly. 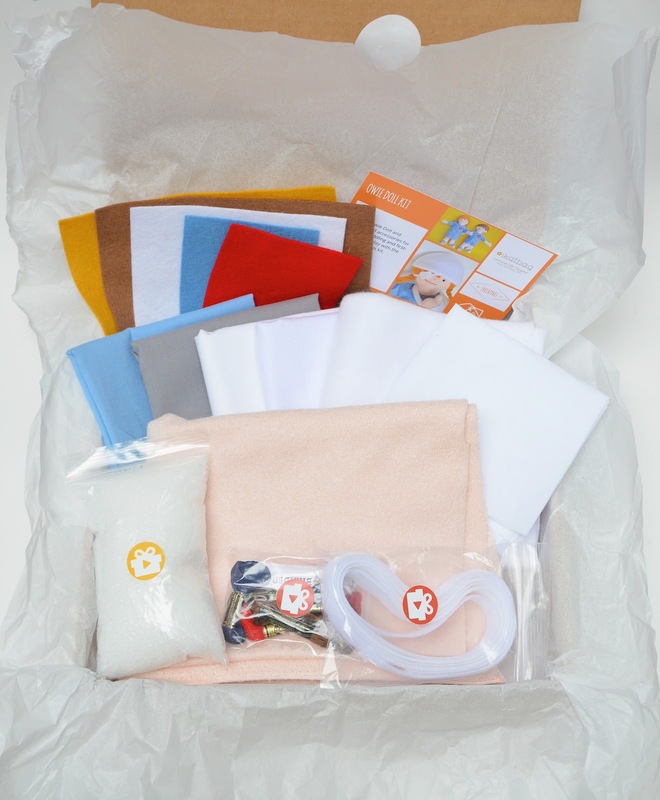 I am confident you will love working with the materials in the Kit - one of the reasons it took this long to be ready for you is because I wanted to be sure we'd be sourcing the kind of materials I myself would be satisfied to use (and you all know how picky I am about my supplies!) 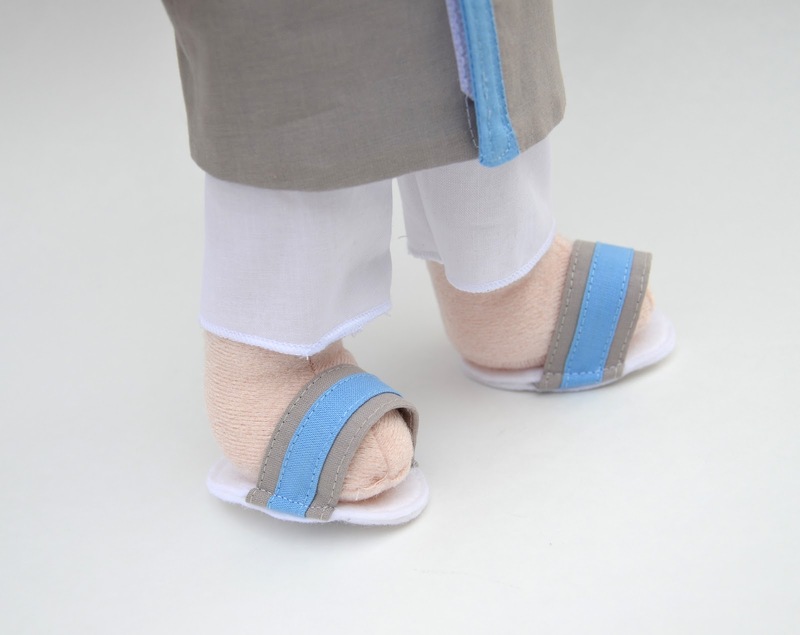 I knew you guys would be happier knowing that you're getting good stuff, like the 100% wool felt and the good skin velour. Let's talk prices and buying options now. 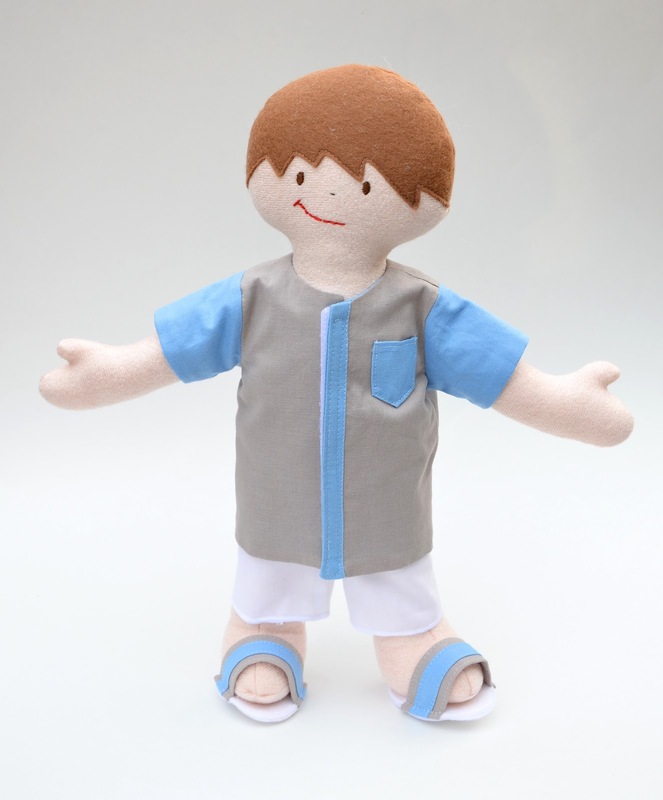 Because some of you might already own the Owie Doll Sewing Pattern, there are two purchasing options - you can buy just the Kit containing the materials, or you can buy the Kit+Pattern as a bundle. This way, you only pay for what you want. You can buy just the Kit at $39.99 - because you already own the pattern. 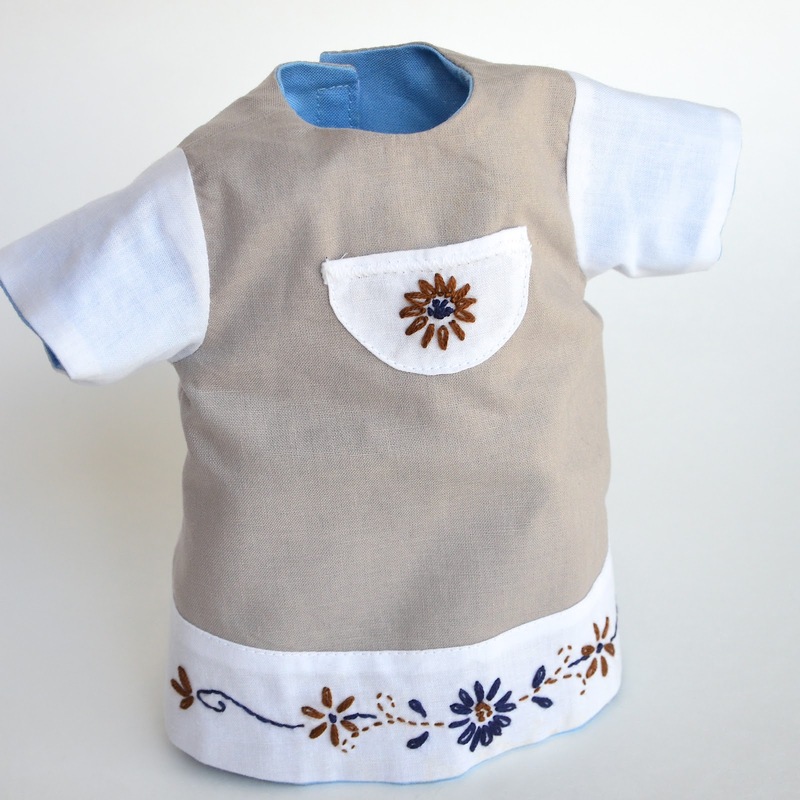 You can buy just the Kit at $39.99 and the pattern separately from my blog at $18. You can buy Kit+Pattern bundle at $47.99 (with the pattern discounted to less than half price!). 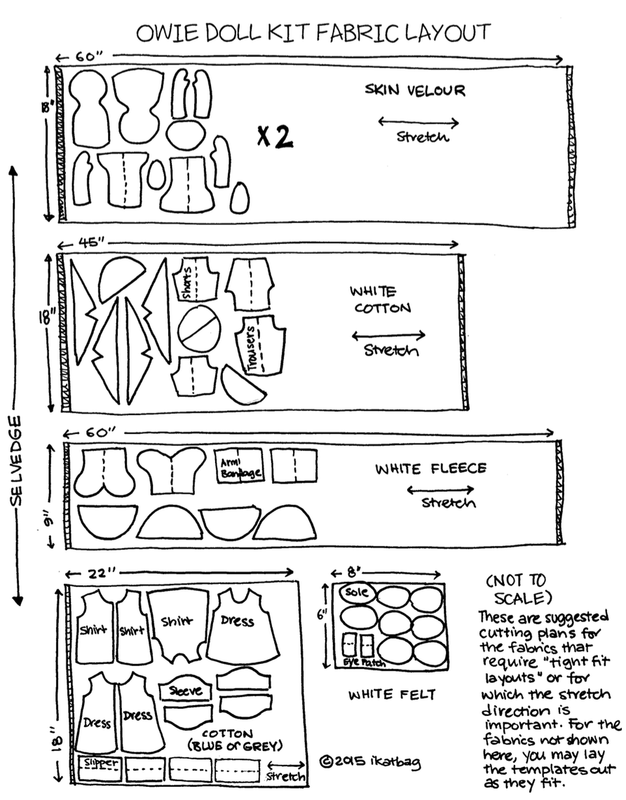 Your kit will come with receive instructions and a code to get your pattern. So grab your Kit early! 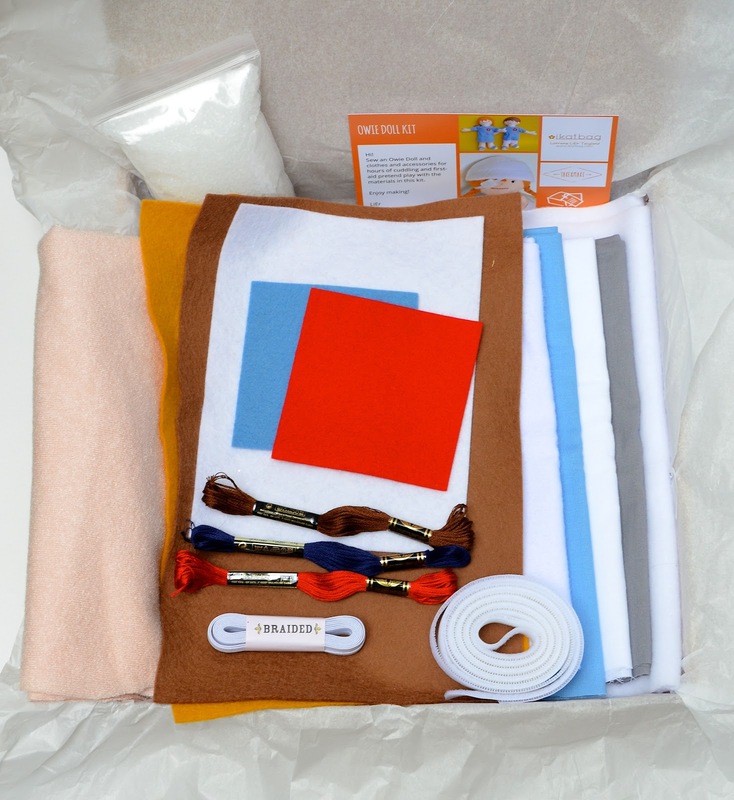 Take&Make ship both domestically and internationally. 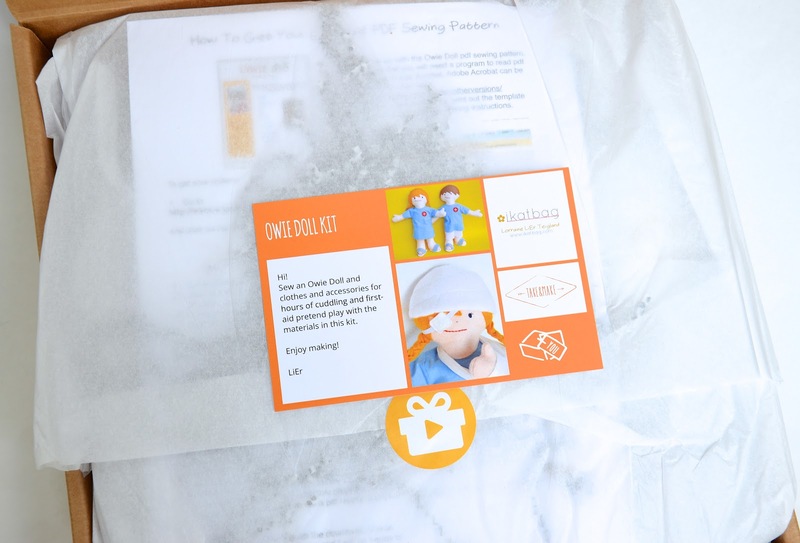 They'll have different shipping profiles set up for some countries and if you don't see yours there, email them at hi@takeandmake.co and they'll advise you on rates. 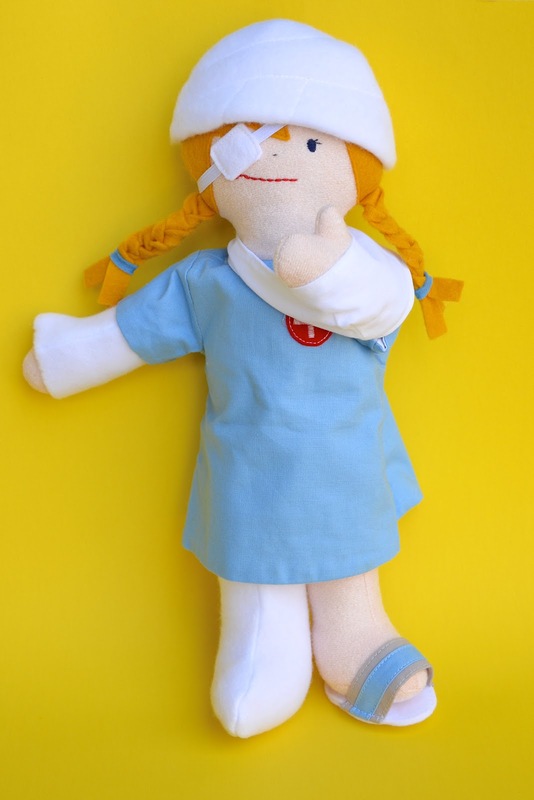 I have two Owie Dolls for sale! 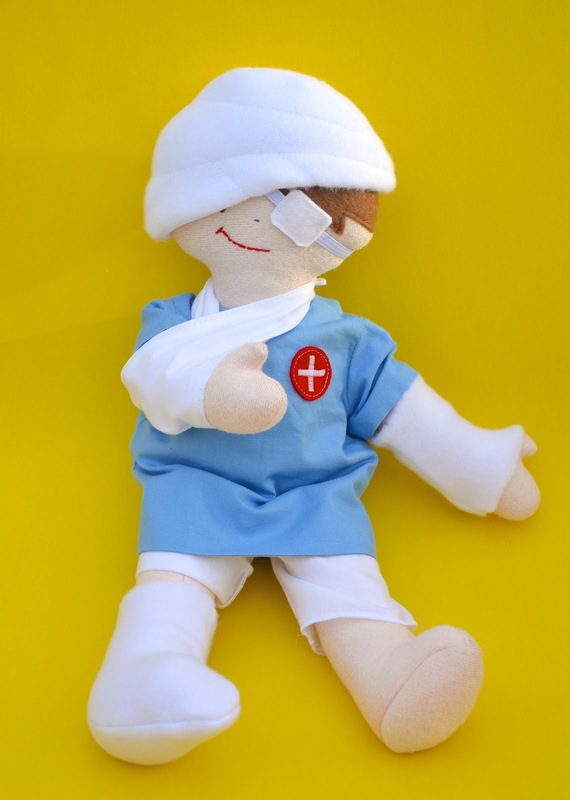 I know it's been years since I've made any new Owie Dolls, but I did with this Kit, and they now need new homes. 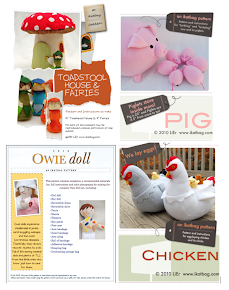 Find the dolls in the shop here. Find the kits here and here. I reaaaaally hope you do other skin colors! My daughter (age 6) is already upset that her dark skin makes her ugly, so I'm trying to be very careful with what I buy for her, but I really love these dolls and can't wait to buy a kit! Ramona: I can't wait to introduce the other skin tones, too! 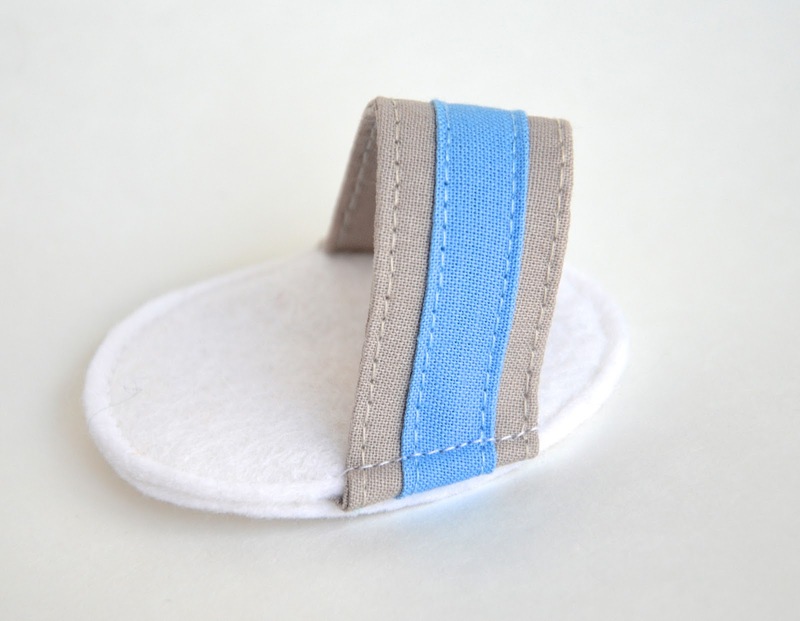 My own skin tone, for instance, is nothing like the pale pink one in this first round of kits. Fingers crossed that we'll get to do a round 2! This is fabulous! I was wondering where to get that skin velour. Awesome! Congrats! Waaaahhhhhh, I just realized I can't download my pattern until the kit comes. So much sadness. I can't wait to get it! Having sourced all the materials to make these on my own, I think this kit is a great deal! 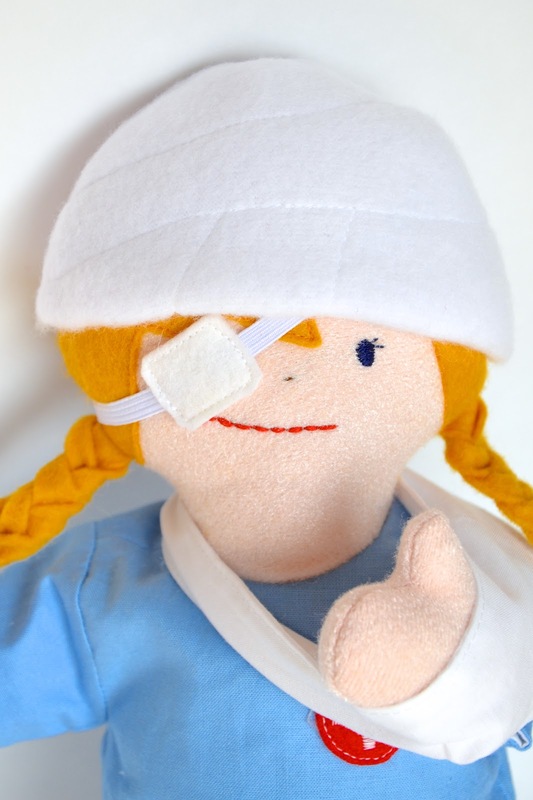 I can't wait to see more Owie Dolls being made! My kids love theirs. 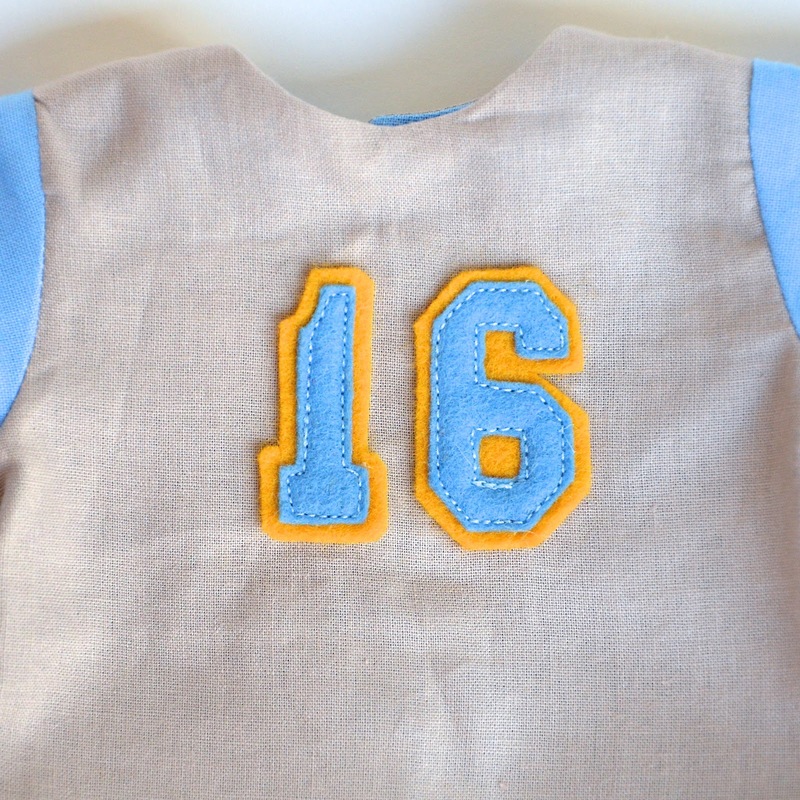 MaryAnne: And thank you so much for your help and input in my decision process! I love that you pushed for high quality materials. It makes such a difference!